21 March, 2014, the Fourth Zhaoshang Cup China-Korea Go Tournament took place in Hangzhou. 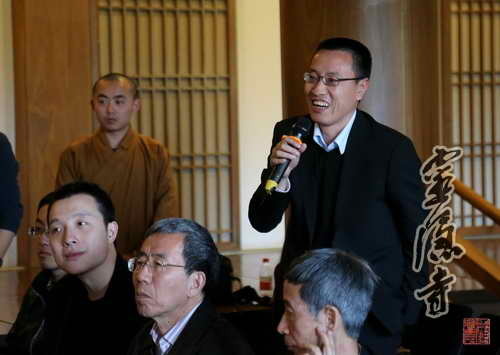 Lingyin Abbot Master Venerable Guangquan attended the cultural event of the Tournament, titled“Go & Chan: Dialogue between the Fingers”, and answered questions from the audience with sincerity. This event began at 3:30pm in the afternoon of 22 March. 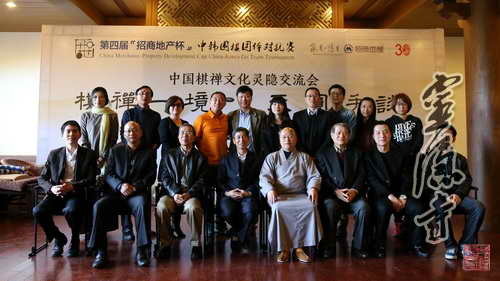 Lingyin Abbot Venerable Master Guangquan was present at the event together with an audience of nearly fifty participants including Mr Wang Runan, President of Chinese Go Association; Mr Mao Zhaoping, President of Zhejiang Sports Centre for Non-Olympic Disciplines; top Go players from China and Korea, as well as representatives from major media. The event was chaired by Venerable Jueliang from Lingyin Center for Buddhist and Go Culture, who delivered a welcoming speech to thank all the guests for their participation in this Tournament. Master Venerable Guangquan spoke, too. According to Master Venerable Guangquan, the transmission of Buddhism, which dates back to more than 2,500 years ago, and the history of the Go, which develops in parallel with the 5,000-year-old Chinese civilization, are closely intertwined: Buddhist monks play the Go to gain insights of the nature of Chan, to obtain Buddhist wisdom, to practice concentration and to develop the ordinary mind. Go, in turn, builds a platform for Buddhist temples and monks to communicate with the public, so that more Go players will have the opportunity to better understand Buddhist Dharma and to improve their spirituality. Gu Li, a well-known Go player, raised questions on Buddhist concepts such as karma and samsāra. 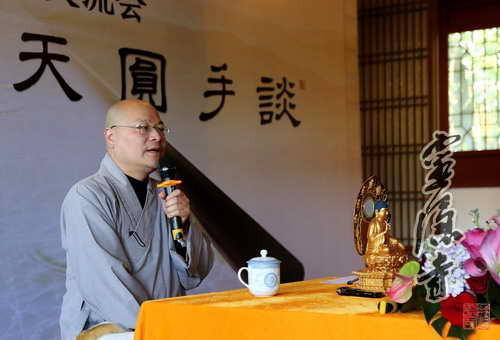 Master Venerable Guangquan answered one question after another in detail from a noticeable perspective of compassion and wisdom. 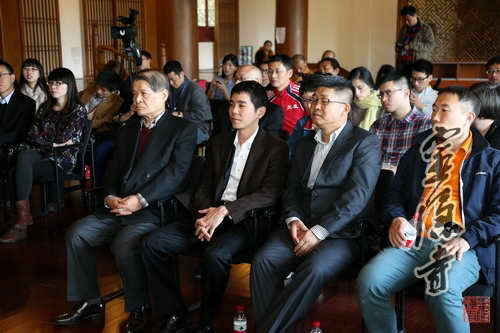 This Competition attracted an unprecedented crowd of 14 celebrated Go players, 11 of whom had won world championships, such as Gu Li, Lee Sedol, Shi Yue, Fan Tingyu, and Choi Cheol-han. In the first round, which took place on 21 March, the young Byun Sang-il from Korea defeated Gu Li 9p from Team China during the middlegame, putting Team Korea at the lead. On 22nd March, the Tournament suspended for one day. 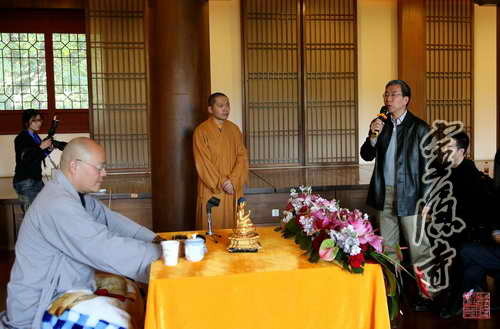 Players of the two teams visited Lingyin Temple, where they exchanged ideas with Master Venerable Guangquan about the Go and traditional East Asian cultures. The second round will begin on 23rd March, when the most fierce game will take place between Gu Li and Lee Sedol. Shi Yue and Park Jung-hwan, respective team captains of China and Korea, will compete against each other. If all matches result in a tie, the captains’match will be used as the tie breaker to decide the winner.